When Nasa was looking for its first astronauts in 1959, it turned to the US military. Alan Shepard, the first American in space, was a navy aviator and test pilot. John Glenn, the first American to orbit the earth, was a marine. Other members of the original “Mercury Seven” were drawn from the air force. 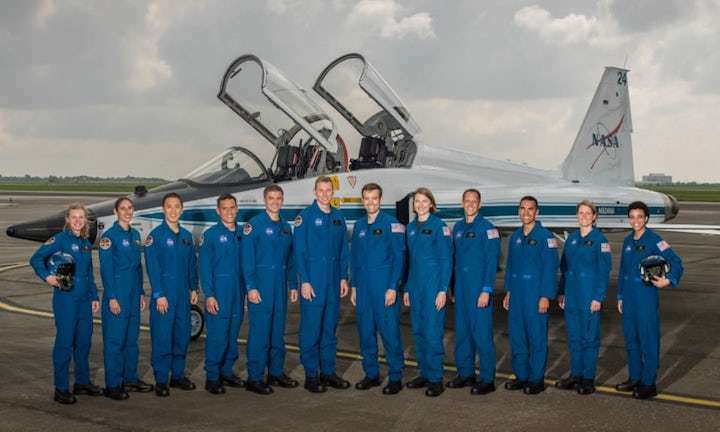 Fifty-eight years later, the US space agency is looking further afield, including among its latest crop of 12 astronaut candidates a marine biologist, a doctor, a university professor and an engineer, as well as a number with a military background. Unlike the Mercury Seven, five of the class of 2017 are women. The group, whittled down from a pool of 18,300 applicants, will be trained over the course of two years to help build and fly the newest Nasa vehicle, the Orion, which is designed for deep space exploration, with the potential to one day visit as asteroid or even Mars. Nasa is also seeking to partner with private industry on transporting astronauts to the international space station. Since the retirement of the US space shuttle program in 2011, only Russian Soyuz capsules can carry astronauts to the space station, although the Dragon spacecraft operated by Elon Musk’s private company SpaceX carries cargo there. Robb Kulin, one of the new astronaut candidates, hopes to help Nasa out in building such links with private space companies. Kulin formerly worked at SpaceX – which designs, manufactures and launches rockets and spacecraft – as a senior manager for flight reliability. He told the Guardian he believed that experience would let him “bring some perspective from the commercial side”. Born and raised in Anchorage, Alaska, Kulin started out his career as an ice driller in Antarctica on the West Antarctic ice sheet and Taylor glaciers, drilling ice core samples in order to examine ancient air in a project funded by the National Science Foundation. He said he hoped his time working in remote areas would also be valuable to Nasa. At SpaceX, he said, his job was to coordinate teams before launch and ensure safe and reliable flights. Last September, after an unmanned rocket exploded on the launchpad, Kulin and his team led the company’s internal anomaly investigation“to figure out what went wrong and that it wouldn’t happen again and we could get back to safe, reliable flight”. A report found that the explosion was caused by the failure of one of three helium tanks. 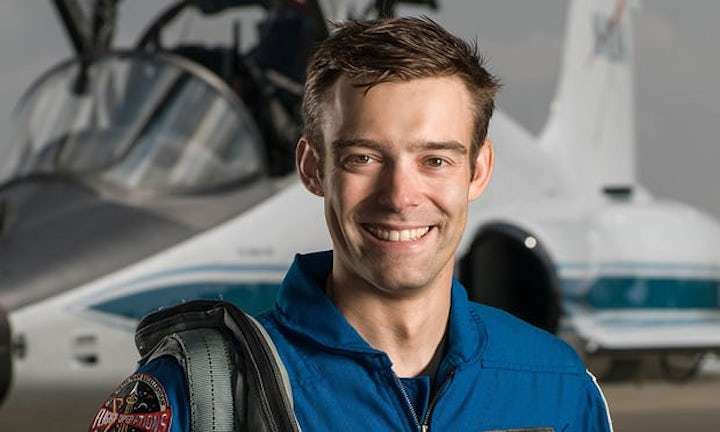 After earning his bachelor’s degree in mechanical engineering from the University of Denver and a master’s in materials science from the University of California, San Diego, he was studying for his doctorate when he started thinking about becoming an astronaut. He was at the launch control center at SpaceX headquarters in Hawthorne, California, when he received the call from Nasa saying he had been selected. “It was a pretty awesome moment,” Kulin said. Kulin left SpaceX and reported for duty at Johnson Space Center near Houston – mission control for the Apollo moon program, and more recently space shuttle flights – in early August. If all goes well, he will train there for two years. The first Orion flight could come as early as 2019. Donald Trump’s proposed budget for 2018 would keep most of Nasa’s funds intact, at about $19bn. But his jokes about getting to Mars before the end of his presidency, and a rambling statement in front of a startled-looking Buzz Aldrin and other astronauts announcing the re-establishment of the National Space Council, suggest he has a somewhat vague grasp of the issue. Kulin and his fellow astronauts may one day see that for themselves.